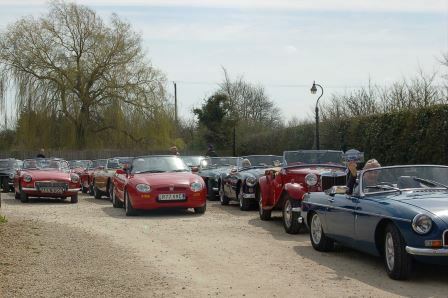 The Federation of British Historic Vehicle Clubs (FBHVC) 'Drive it Day' has been set up to commemorate the 64 cars that set off from London on 23 April 1900 on the first day of the Thousand Mile Trial. An incredible undertaking and one which the FBHVC believe deserves an annual celebration. The date for this year's run is 24th April. This year's run has another organiser with Richard Avery again volunteering to set the venue and plan the route. He has decided to start at the Golden Cross and there will be a scenic social run of approx 35 miles through country lanes to arrive at the Southcrest Manor Hotel, Southcrest, Redditch, B97 4JS. If ordering for two or more, please specify who is having which choice from the menu. You can choose either 1, 2 or 3 courses. Please make cheques payable to Arden MG Club. Completed forms required by 2nd April Club Night. Should you have any special dietary needs, please contact Richard Avery.